I don't post much just mostly read. Saw this and feel need to make people aware..
Wow, thanks for the news! I haven't bought anything from them in a few years, but my CC statement just came in yesterday and I'm about to check! I know several people here ante'd in for Shockforce 2, so they should be highly alert! Woah guys read that thread carefully. Steve *has* taken steps to ensure the sites safety. The store it self has been examined for security issues. The sever has been checked for malware and any possible breaches. They verified to everyone that they do not store CC information so there is no database of customer data to steel. And on top of that Steve has been in contact with their CC transaction service (whatever the right name for that is) to inform them of what some customers have experience so they can check their systems. They have assured Steve that there are no issues on their end. I'm not sure what some of the people who continue to rant are on about but Steve has already done - on his own initiative - everything that has been suggested. I think its been established well enough that BFC hasn’t been hacked. People’s CC data has been in some way probably from a myriad of online sources and data leaks. This is why people should be very wary of leaving their personal data up for grabs online. Profiling algorithms take pieces if data from all around and link that into a database that is expanding and expanding. Enable 2 factor auth everywhere you can and for financial transactions choose the safest method (payPal for example) and try avoiding entering card info directly in webshops. Even something as simple as your birthdate entered in your forum profile gets grabbed by those scripts and it another piece of the profiling puzzle they can link. Facebook, Twitter, Webshops all nice profiles to be sold or taken advantage of. Big advert companies bid in nano seconds against eachother on your phone behind the scene whenever you open an app with adverts. They try to establish how useful you might be as a target and the highest bidder gets to push their adverts onto your phone. I am glad such an important alert was in the main feed. Actually the title is completely misleading, there's no evidence that Battlefront have been hacked. "Some people think battlefront has been hacked, despite not having any evidence" might be a more truthful, and more responsible thread title. I've been following that forum thread at Battlefront and if anything it seems they were not hacked. Also I bought CMSF2 on a credit card with no problems. As soon as the expansion module for Combat Mission Fortress Italy, Rome to Victory, is released I will purchase that the same way. So no worries of "hacking". I'm really looking forward to this expansion module as it will make Fortress Italy the longest time span of the CM games: July 1943 to the end of the war. It will also introduce additional nationalities and formations. Cool stuff. 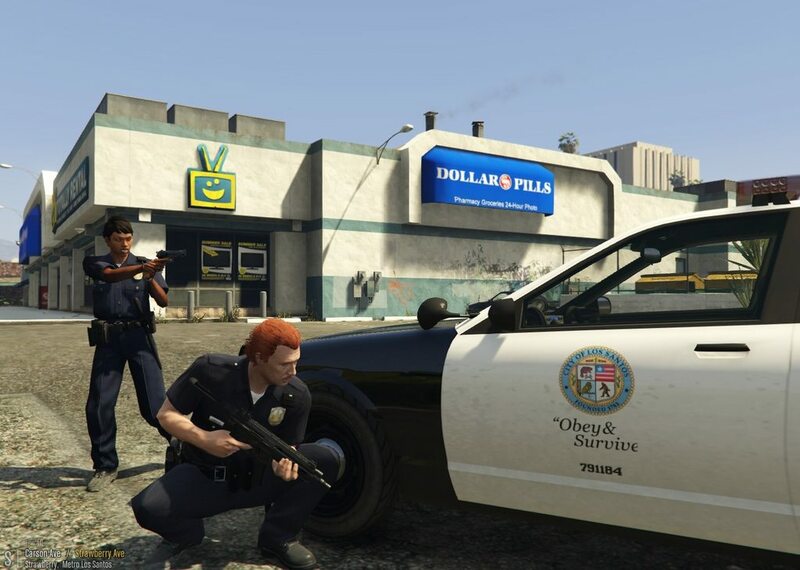 Your new hobby should be conflating pix of Fortress Italy with LSPDFR and coming up with insane/awesome narrative explanations. BAM - they go back in time 12 years to the state of the art circa 2006? That is a strong 2007 at least. I like the realism more than the graphics. However, for players that are concerned with graphics Battlefront is rumored to be working on CMx3. Maybe that will bring an improvement with graphics. The below screenshot reminds me of the movie "The Wild Geese". 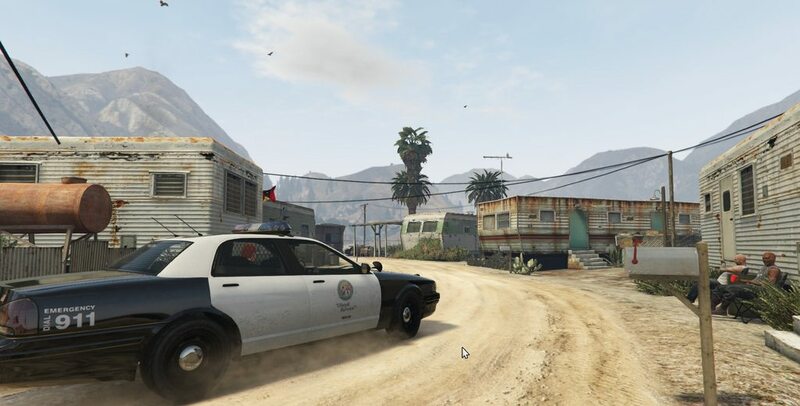 Admittedly the graphics of GTA LSPDFR is better. But both are very cool games.